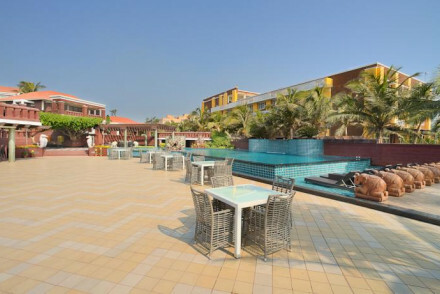 Formally known as Orissa this coastal state lies along the Bay of Bengal, and our pick of the best places to stay in Odisha are ideal for a quiet beach break in India. It is famed for its tribal cultures and their colourful textiles, intricate silverware and decorated pottery. It is also home to a number of ancient Hindu temples, making it a popular destination for religious pilgrims. The most famous are the 11th century Mukteswar and the Lingaraj temples, which overlook the sacred Bindusagar Lake. The forests of the southwest are the native home of the fascinating Adicasi tribes. Whilst local authorities keep them protected (and hidden) form visiting tourists it is possible to visit their weekly markets and purchase some of their beautiful handmade produce. The Odisha State Museum, dedicated to the area’s indigenous history, also documents their handiwork. Along its coastline and inland Odisha is home to some excellent nature reserves where you can spot huge crocodiles, dolphins, turtles and an array of birdlife. One of its favoured coastal towns, Puri, was once a well-established stop along India’s hippie trail. Today it sees a steady flow of holidaymakers visiting to make the most of its peaceful beaches. If visiting Puri in July make sure not to miss the extraordinary Rath Yatra (or Car Festival) where thousands of worshippers parade wooden deities along the streets. Whatever time of year you are visiting, a trip to Puri is not complete without entering the much-revered Jagannath Temple. Part of the Char Dham pilgrimages, that Hindus are expected make once in their lifetime. Puri also boasts a long sandy beach, ideal for long sunset strolls – you just have to share it with the odd cow! The Hotel Guru's selection of the best places to stay in Odisha covers all bases: from traditional to modern there is something for everyone. Located right on Puri’s pristine coastline The Hans Coco Palms boasts all the amenities expected from a modern hotel, including an indulgent spa. Rooms are light and airy with contemporary bathrooms, and enjoy impressive views over the Bay of Bengal. With its own private beach, Mayfair Heritage really has it all: large, luxurious rooms and bathrooms, fine dining, a comprehensive spa plus indoor and outdoor pools. You will not want for anything here. Still not sure which to book? 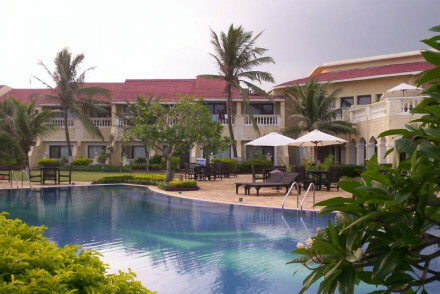 Browse though our list of the best places to stay in Odisha to start to plan your trip. Or contact one of our friendly gurus for advice.